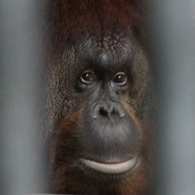 There are currently 1 orangutans living in Nagasakibana Parking Garden. Tel. no. 0993-35-0111 Fax no. Opening hours 8:00-17:00 Closed day open year-round.